The U.N. Human Rights Council literally silenced a speaker for calling out the Jew-hatred that drives the body’s unabated anti-Israel agenda. ironically titled U.N. agency literally silenced her rather than face the truth. Meanwhile, the body’s decades-old anti-Israel agenda steamrolls forward, with a litany of new resolutions proposed by some of the world’s worst human rights abusers falsely accusing Israel of crimes against humanity. Extremism exists in all cultures and religions. While Israel and the Jewish people overwhelmingly condemn extremism, Islamists embrace lethal hatred. That is why Jewish extremism is a fringe phenomenon while Muslim extremism is mainstream. Israeli Prime Minister Benjamin Netanyahu strongly condemned the recent New Zealand mosques massacres. “Israel mourns the wanton murder of innocent worshippers in Christchurch and condemns the brazen act of terror in New Zealand”, Netanyahu said. “I condemn the terrorist attack on the mosques in Christchurch in the strongest possible terms and send my condolences on behalf of the people of #Israel to the families of the victims, the injured, the government and the people of #NewZealand. Jewish organizations worldwide have also condemned the massacre on Muslims in New Zealand. By contrast, pro-Hezbollah and Iranian media celebrated the recent Gaza rocket attack on Tel Aviv. When Christians and Jews are murdered, Muslim extremists regularly hand out sweets in celebration. A vast gulf of different values separate Israel from her hostile neighbors. Israel and the Jewish people embrace life and progress while her lethal enemies embrace death and destruction. Hamas infamously boasted that it loves death more than Israelis love life. Israel’s strength and resilience come from its optimistic embrace of life. It transformed the traumatized and homeless Jewish people after the Holocaust to a reborn, successful and powerful independent nation. It guided the Jewish state to turn multiple daunting challenges into advantages. Everything the Jewish people has achieved in Israel against all odds is rooted in this powerful embrace of human life. By contrast, death cults like Iran’s ayatollah regime, Hezbollah, Hamas and PLO have no future. The reason is simple. Societies that embrace hatred and destruction eventually stagnate and wither away. Ironically, antisemitism ultimately hurts Jew-haters much more than the powerful Jewish state. Forty years of destructive anti-Semitic and anti-American Islamist dictatorship has harmed Iranian society far more than Israel or America. A society that names squares and schools after murderous terrorists is literally blowing up its own future. PLO leader Mahmoud Abbas’s decision to prioritize financing anti-Israel terrorism over his population’s future is a self-inflicted lethal pathology that should concern all life-embracing Muslims and Arabs. Israel is frequently demonized as “racist” towards Muslim Arabs. In reality, Muslim Arabs in Israel are among the freest human beings on earth. Israeli Arab citizens serve as senior judges, doctors, lawyers, diplomats, generals and entrepreneurs. Israel must be the world’s only “apartheid state” where Arab and Jewish patients are treated side by side by Arab and Jewish nurses and doctors. Israel even treats wounded Muslim terrorists. Israeli Arab members of Knesset regularly slam Israel and express support for her enemies. However, very few Israeli Arabs are in a hurry emigrating to Muslim Arab societies in Gaza, Ramallah, Beirut or Damascus. Israel is often blasted as an anomaly in the Middle East and the root to all the region’s problems. In reality, the tiny sliver of land known as Israel is an island of life and freedom in an ocean of death and despotism. Israel is not merely hated for being the Jewish homeland. Israel is also hated by despots who feel threatened by the Jewish state’s embrace of human life, freedom and progress. Israel is not the mother of the Middle East’s problems. Israel is the potential mother of crucial solutions to the troubled region’s many problems. The failed “Arab Spring” did not erupt out of concern for the Arab population in Gaza, Judea and Samaria. It erupted because the Muslim Arab world increasingly lags behind most of the world in terms of freedom, standards of living, education and human rights for women and minorities. Gazans are far worse off today under the Islamist Hamas dictatorship than before Israel’s withdrawal in 2005. Christians and gays flee from the “moderate” Fatah-controlled territories. The giant Arab world is more than 500 times larger than tiny Israel and 1.5 times larger than the United States. What it needs is not more territory but embracing life and progress over death and destruction. The Sunni Arab world is gradually realizing that there is much to gain from cooperation with Israel in terms of technology and trade. The Iranian regime regularly calls for the destruction of Israel. Iran oppresses its own people. Tehran has squandered billions of dollars on its nuclear arms project and its imperialist aggression throughout the Middle East and beyond. While the ayatollahs fear Israel and America, they ultimately fear their own people even more. The majority of the talented and educated Iranian people rejects the ayatollah’s oppressive rule. While Iranian leaders brag about destroying Tel Aviv, Israel has offered technologies to solve Iran’s growing water drought problems. After an earthquake in Iran, Israel offered to send rescue workers, which was rejected by the Iranian regime. Young and educated Iranians do not seek Israel’s destruction. They increasingly admire Israel and want Iran to emulate the Jewish state’s success. Unlike natural resources like oil, success is an unlimited commodity that can be shared by everyone willing to celebrate life and progress over death and destruction. Daniel Kryger is a writer and a political analyst and a Fellow at the Haym Salomon Center. The outpouring appears to show a solidarity among some Iranian members of Twitter for Israeli victims of terrorism. Dozens of Iranians are sharing a memorial post to Rabbi Ahiad Ettinger and sharing photos of candles they have lit in his name online. Ettinger, 47, was killed Sunday in a terror attack. The post, put up Monday by an anonymous account on Twitter called @TheIntangibles, had received hundreds of likes within hours of being up. The post called for people to show sympathy and remember the rabbi. In response, people posted photos of candles they had lit in his memory, and tweeted short memorials in Farsi. In a private message, the anonymous use wrote “I urged my followers to light a candle in Farsi so it is understandable.” Some of those who replied are fearful of revealing their locations, which indicates they are in Iran. One of them appeared to be in southern Iran, due to information received. “We can defeat the idea of war by a stronger idea, the idea of peace,” one wrote. واکنش یک هموطن به کشته شدن یک خاخام در حمله تروریستی دیروز. دیدن این کامنت‌ها بسیار غمگینم می‌کند. از شما درخواستی دارم؛ امشب به یاد یک انسان نادیده، شمعی روشن کنید و برای همدردی تصویرش را به اشتراک بگذارید؛ نشان دهیم که یک ایرانی بهتر از این حجم عظیم تنفر است. مراسم به‌خاک سپاری خاخام اخیعاد اتینگر، ۴۷ ساله، و پدر 12 فرزند برگزار شد؛ پیش از مرگ، به درخواست خانواده او، اعضای بدنش به بیماران نیازمند اهدا شد. The outpouring appears to show a solidarity among some Farsi members of Twitter for Israeli victims of terrorism. Iran has also suffered under terrorism and Iranians who oppose the regime have become tired of its constant obsession with Israel. He choose to commemorate Rabbi Ettinger because the victim was similar in age to his father. 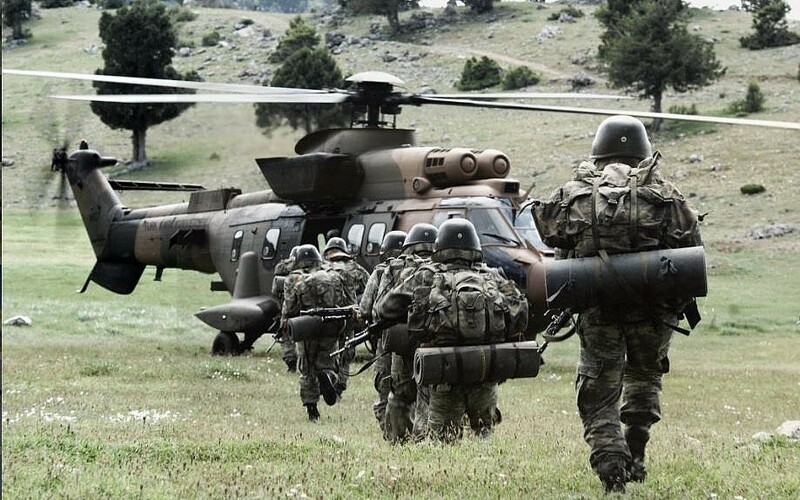 TEHRAN, Iran – Iran has denied a claim by the Turkish interior minister that it took part in a joint operation on Monday targeting Kurdish rebels in the border area. In recent weeks, Ankara has talked up the prospects of joint military action with Tehran against the Kurdistan Workers’ Party (PKK) and its allies but Monday marked the first time it had spoken of a joint operation being carried out. “Iran’s armed forces have no role in this operation,” the official IRNA news agency quoted an “informed source” in the general staff as saying on Monday evening. However Iran “will forcefully confront any group that seeks to create unrest on our country’s soil,” the source added. Soylu did not specify where the joint operation was taking place, but President Recep Tayyip Erdogan has said previously that joint military action would focus on PKK rear bases in Iraq near where the three countries’ borders meet. The Turkish military has carried out repeated bombing campaigns against PKK targets in Iraq’s northern mountains during its more than three-decade campaign to crush the rebels’ campaign for Kurdish self-rule in southeastern Turkey. In recent years, Tehran too has carried out operations in northern Iraq against suspected rear bases of the PKK’s Iran-focused ally, the Party of Free Life of Kurdistan (PJAK). PJAK is one of a number of Kurdish rebel groups that have fought the Iranian security forces in ethnic Kurdish districts along the border. Another PKK ally, the People’s Protection Units (YPG), is the main Kurdish armed group in Syria where, to the fury of Ankara, it has been a key ally in the US-led campaign against the jihadists of the Islamic State group which is now drawing to a close. What is happening here at https://youtu.be/lEsHlwdy-Fwthe UN Human Rights Council is not new. In fact, there has been a deep and persistent problem with UN bodies from New York to Geneva when they address accusations that Israel is violating the basic norms of international law. Having served as Israel’s ambassador to the United Nations in 1997, I witnessed this from the first day I walked into that blue-green building on First Avenue. I was confronted with an effort to convene what are called the High Contracting Parties of the Fourth Geneva Convention – that is its signatories – to take measures against Israel for alleged violations of the Convention, which had been adopted after World War II, in order to protect civilians in times of war. Israel was a signatory. The first question I felt that I needed to ask was, when had the signatories been convened previously? Were they convened when the Soviet Union invaded Afghanistan? What about when Iraq went into Iran? Turkey into Cyprus? No again. In fact, in repeated cases of outright aggression, this body of the High Contracting Parties had never been brought together before. But now the UN General Assembly was considering to convene the High Contracting Parties in the sole case of Israel, because of the territories it had captured thirty years earlier in the 1967 Six Day War. Moreover, the UN’s focus on the singular case of Israel stood out. Back in 1967, both the Security Council and the General Assembly had rejected Soviet efforts to brand Israel as the aggressor in the Six Day War. It was clear as day at the time that Israel captured the West Bank and Gaza Strip in a war of self-defense, after neighboring countries from Egypt to Iraq massed their armies along its borders. But that fundamental fact did not deter the UN in 1997 from treating Israel like it was the worst international criminal. This biased treatment of Israel continued in subsequent years. After Israel implemented the Oslo Accords with the Palestine Liberation Organization during the 1990’s, and withdrew its military government from the West Bank and Gaza Strip, it faced a wave of escalating terror attacks that emanated from the very cities from which it had pulled out. These terror attacks specifically aimed at innocent civilians, and not military targets. City buses began exploding in the heart of Tel Aviv, Jerusalem, and in other population centers. In March 2002, a suicide bomber detonated himself at a Passover Seder in Netanya. Israel finally had to act to bring the bombings decisively to a halt even if that meant going back into those West Bank cities that had become springboards for these attacks. Western militaries had well-developed doctrines for putting down this kind of urban warfare. Their military manuals spoke about utilizing air power, artillery, and even flame throwers to flush out urban guerrillas. There were states that used carpet bombing to blanket whole areas. The Russians used such tactics in Chechnya. And we saw them again in Syria. Israel had sent in reserve units, so that many of the soldiers killed on the Israeli side in Jenin were fathers and husbands. And how did the UN reply? The spokesmen of UN specialized agencies asserted in the international media that “Israel had lost all moral ground in this conflict” – a conclusion adopted by the late UN Secretary-General Kofi Annan, which he subsequently was forced to retract. The UN ultimately admitted that the number of fatalities was far smaller than it originally claimed. But a pattern of unsubstantiated accusations followed by belated retractions had been set. What did the UN have to say to the widows and orphans of the soldiers who died in Jenin? You know what, it was the UN that lost the moral high ground in Jenin. This brings us to the UN Human Rights Council in 2009, which has a long history of anti-Israel bias. This was demonstrated yet again after Israel unilaterally withdrew from the Gaza Strip in 2006. It was hoped at that time that an Israeli withdrawal from contested territory would reduce the hostile intent of the Palestinian terror organizations, like Hamas and Islamic Jihad, which had been firing rockets into Israeli towns in recent years. But the exact opposite occurred. The number of rockets fired into Israeli towns shot up from 179 to 946 – a 500 percent increase – in the year that Israel pulled out. Again Israel was forced to act in its own self-defense, as it moved into Gaza. Here in Geneva, the Human Rights Council established a Fact-Finding Mission headed by Justice Richard Goldstone of South Africa to investigate Israeli military operations in the Gaza Strip. The result was a report, about 500 pages in length, which was the most vicious indictment of the State of Israel bearing the seal of the UN since the “Zionism is Racism” resolution of 1975. The most outrageous charge it made was that Israel deliberately – let me repeat that, deliberately – killed civilians in Gaza. I was no longer in government, but when I was invited by an American university to debate Goldstone, the highest levels of the Israel Defense Forces provided me with all the material I needed to show how the core conclusions in the famous Goldstone report were baseless. How could Israel have a policy of deliberately killing civilians when it implemented the exact opposite policy of protecting them, by issuing repeated warnings in Arabic to civilians that Israel was about to take imminent action? Besides leaflets, an Arabic speaking IDF unit telephoned the homes where it was known that Hamas rockets had been stored; Israeli drones monitored if the target had been evacuated. If not, a special non-lethal munition was dropped called a “knock on the roof,” to convince those inside that this was serious – and only then was the target destroyed. Who else does this? Name another UN member. The Human Rights Council should be ashamed of itself for accusing Israel. The report never really addressed this. Goldstone subsequently retracted his most damming accusation in an opinion piece in the Washington Post. But the damage had been done. The UN Human Rights Council already voted to endorse the conclusions of the Goldstone Report, although in typical UN fashion, its resolution only condemned Israel and did not even mention Hamas. Musa Abu Marzuq, the Hamas leader, quipped that Hamas had been acquitted by the UN. For the terror organization, the UN had given them a green light to continue their rocket attacks on Israel. There is a straight line from UN actions back then and last week’s launch by Hamas of an Iranian Fajr missile toward Tel Aviv. Now the UN wants to look at the Palestinian protests along the Gaza Fence. How can anybody take the UN seriously when it has shown that when it comes to Israel its reports have been highly politicized and seriously flawed? Is anyone protecting the human rights of Israeli farmers whose fields are regularly set ablaze by Hamas incendiary weapons? To our north, as we speak, Hizbullah has militarized 200 Shiite villages in Southern Lebanon and made them into a network for human shields in order to protect their Iranian-supplied missiles. And when Hizbullah constructs attack tunnels into Israeli territory, where is UNIFIL? Let me make clear that it is demonstrated time and again that only Israel will defend itself by itself. Israel does not seek international forces to protect it. But it does expect one thing from the international community: the truth. That is today what Israel asks for. But when it comes to the UN, the truth has been extremely difficult to obtain. Roger Waters, a former Pink Floyd frontman and one of the most vocal advocates for cultural boycott of Israel, has called on the artists participating in 2019 Eurovision in Tel Aviv to boycott the event over Israel’s treatment of Palestinians. Israel won the right to host the event after Netta Barzilai’s song “Toy” emerged victorious during last year’s competition. The final of the competition will be held on May 18 at Expo Tel Aviv. In an open letter—addressed to the 41 finalists of the prestigious song competition—published Monday on Water’s Instagram account, the 75 year-old wrote that Israel is an Apartheid regime, responsible for ethnic cleansing of Palestinian communities. Waters is a longtime critic of the Jewish state, and as an active Boycott, Divestment and Sanctions activist he has frequently asked performers to refrain from coming to the Holy Land. Last September, the former Pink Floyd singer was one of more than 100 artists from around the world calling for a boycott of the Eurovision in Israel. “Until Palestinians can enjoy freedom, justice and equal rights, there should be no business-as-usual with the state that is denying them their basic rights,” the letter read. “Eurovision 2019 should be boycotted if it is hosted by Israel while it continues its grave, decades-old violations of Palestinian human rights,” the letter continued.